I go to bed every night, and I wake up every morning, thinking about how to build relevant, enduring businesses that address some unmet need. It’s one of the things that makes life fun for me. And for some time now, I’ve been thinking a lot about DNAinfo. DNAinfo connects people through the communities where they live and work. 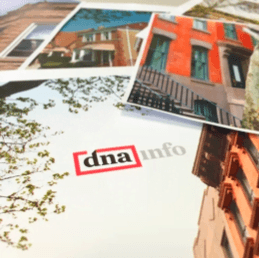 We do this by reporting on fun and fascinating neighborhood news stories on DNAinfo, and by creating vibrant, virtual communities on Neighborhood Square. And we do it without spin. Unpuzzling this important space – a space that exists at the intersection between people who live in neighborhoods and the businesses that serve them – is an irresistible challenge to me. This week, DNAinfo introduced a new logo that speaks to the company’s partnership with neighborhood communities. Neighborhoods are alive and vibrant, and our new logo reflects our continued belief in the power and promise of neighborhoods. If you live in Chicago or New York, check out DNAinfo. If you don’t live in one of those cities, stay tuned. PrevPreviousDo individual investors get a square deal when they trade stocks?